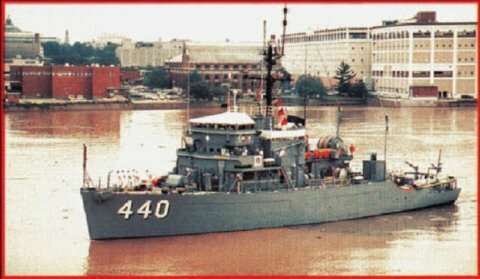 The second Exploit (AM-440) was launched 10 April 1953 by Higgins Corp., New Orleans, La. ; sponsored by Mrs. R. F. Kennon, wife of the Governor of Louisiana; and commissioned 31 March 1954, Lieutenant Commander E. M. Eakin in command. She was reclassified MSO-440 7 February 1955. Exploit arrived at Charleston, S.C., her home port, 13 March 1955, and began her participation in major fleet exercises, and local and Caribbean training. In 1954, 1957, and 1958, she served with the 6th Fleet in the Mediterranean, participating in exercises and visiting a variety of ports. Her stateside schedule through June 1960 included work in experimental development of mine warfare and defense in Florida waters. On 28 October 1960 Exploit again sailed for duty with the 6th Fleet and remained there through the end of the year.